Would you be so gullible? 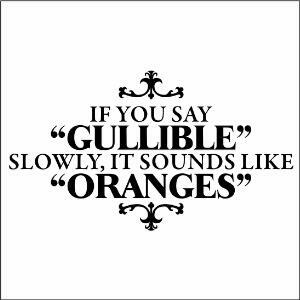 Who else looked at the picture and spent two minutes pronouncing gullible to see how it sounds like oranges? I did. I have been postponing this post for some time now so here goes. Sir Farouk, this is for you.